Our self-storage units can store motorcycles, ATVs, antique cars, boxes, appliances, furniture, any anything else you would store in your attic or basement. We also rent outdoor parking areas to store your RV's, boats, cars, and trucks. With our convenient boat and RV storage, you can save room on your own property and eliminate that eye sore for your neighbors. 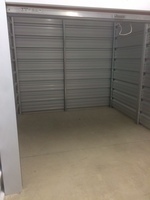 If you're looking for storage units in College Station or Bryan, TX, we've got just what you need. Our rates are guaranteed to be the cheapest around. Our premises are surrounded by security fences to help protect the units. Our customers have access to their units 24 hours a day, seven days a week, 365 days a year. Call us now to see what units are available. 10' x 5' (50 square feet) comparable to a walk in closet. 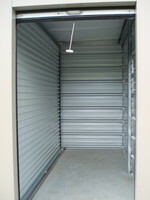 We have climate controlled and non-climate controlled units to meet all storage needs. So if you have household or office items that require a manageable temperature and humidity free then you should consider our storage units in Bryan TX.